Anafenza, the Foremost ($2.00) Price History from major stores - Khans of Tarkir - MTGPrice.com Values for Ebay, Amazon and hobby stores! 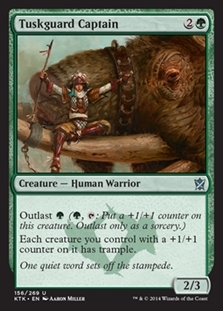 Card Text: Whenever Anafenza, the Foremost attacks, put a +1/+1 counter on another target tapped creature you control. 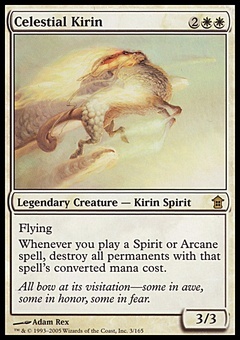 If a creature card would be put into an opponent's graveyard from anywhere, exile it instead. 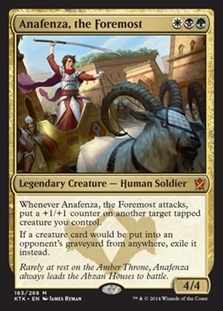 Flavor Text: Rarely at rest on the Amber Throne, Anafenza always leads the Abzan Houses to battle.